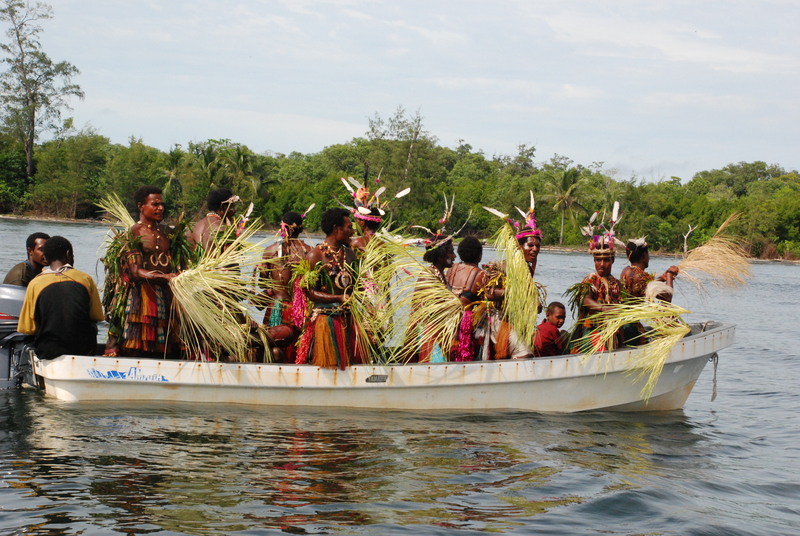 A boat full of 25 natives making loud music came to us in the Coral Sea as we approached their village in the Sepic River region of Papua New Guinea. 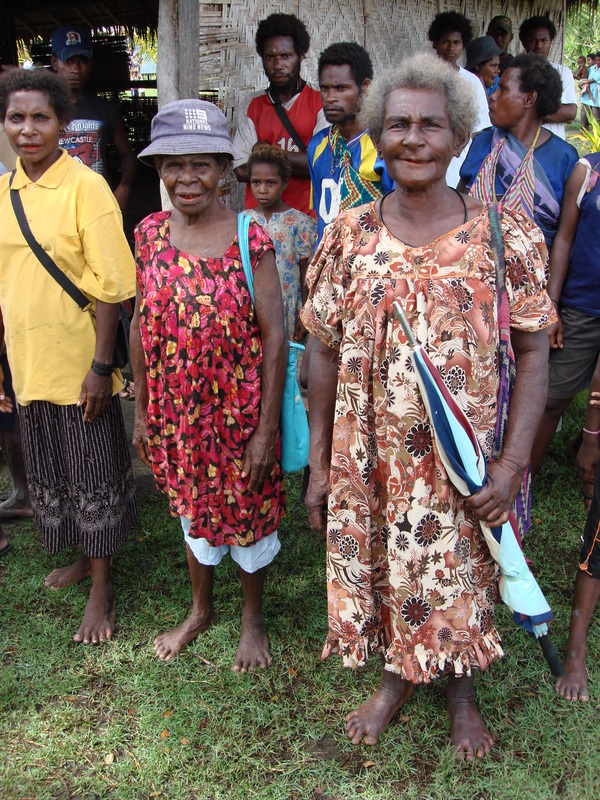 When we arrived, we walked in the Sea to get to their village. 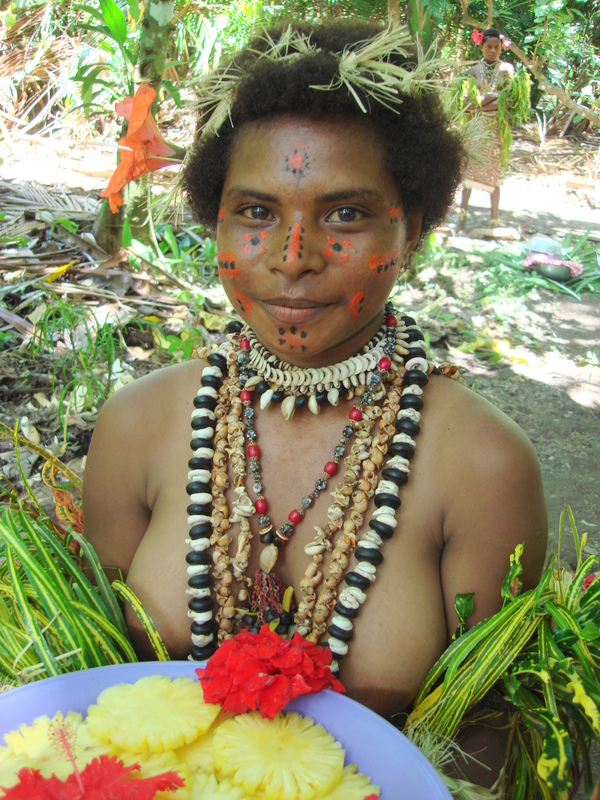 A clan lady dressed in ceremonial regalia, greeted us on shore with a wet, hot pink-fuchsia glob of goo on our cheek, made by the annatto seed for a sign of hospitality. 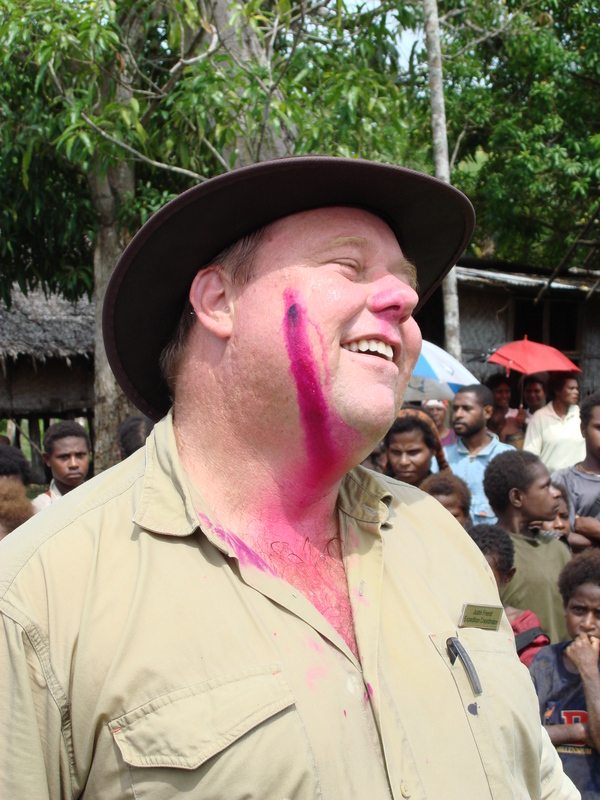 Moisture caused the seed to “bleed” a hot pink juice all over. 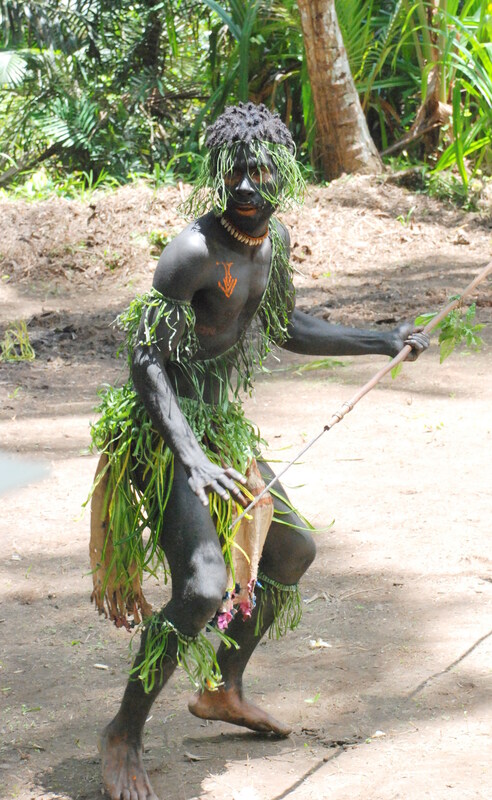 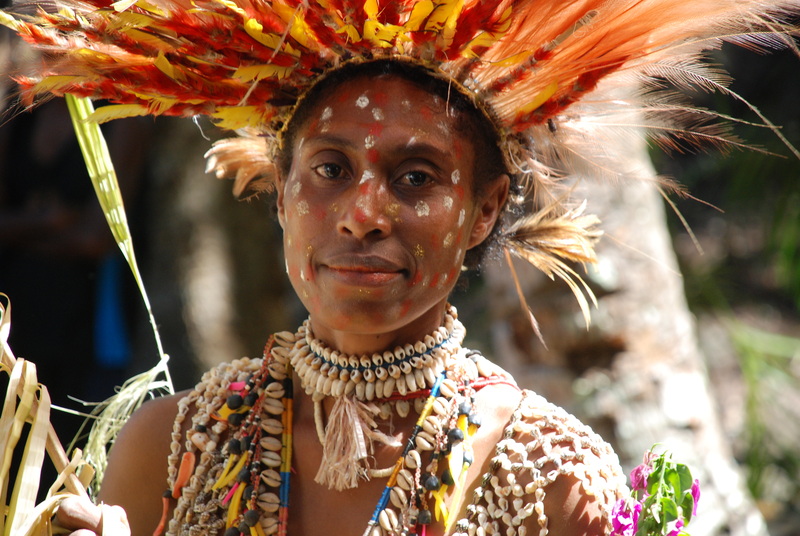 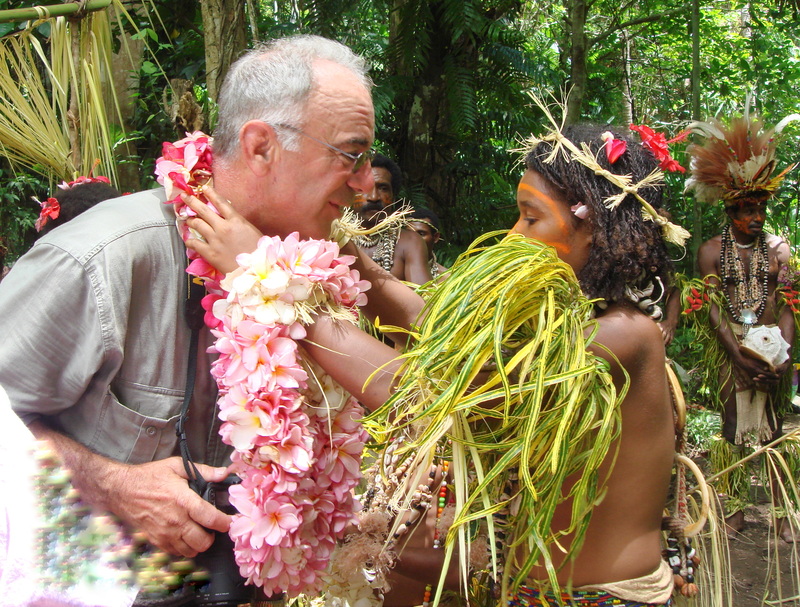 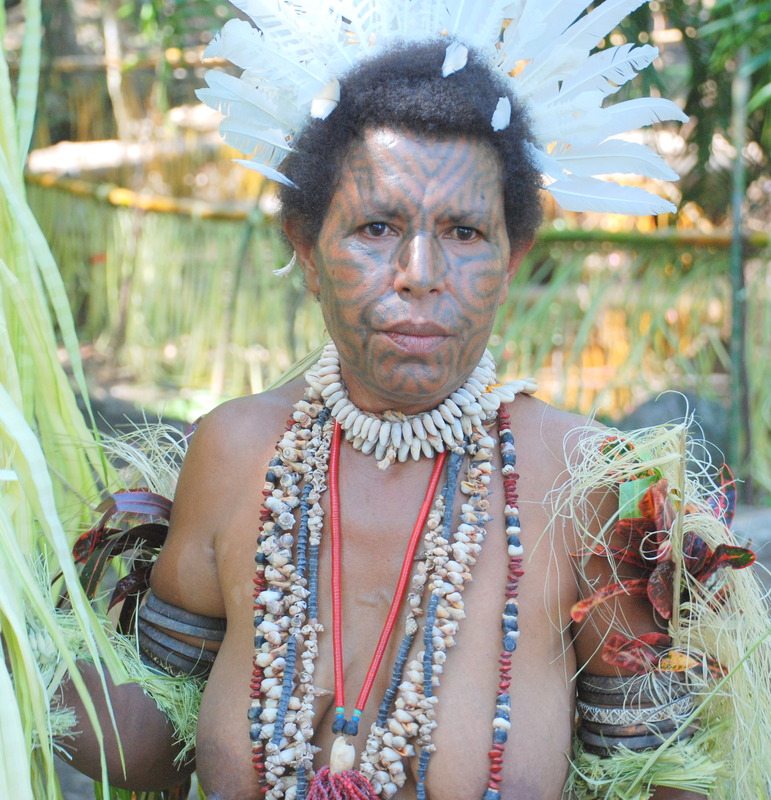 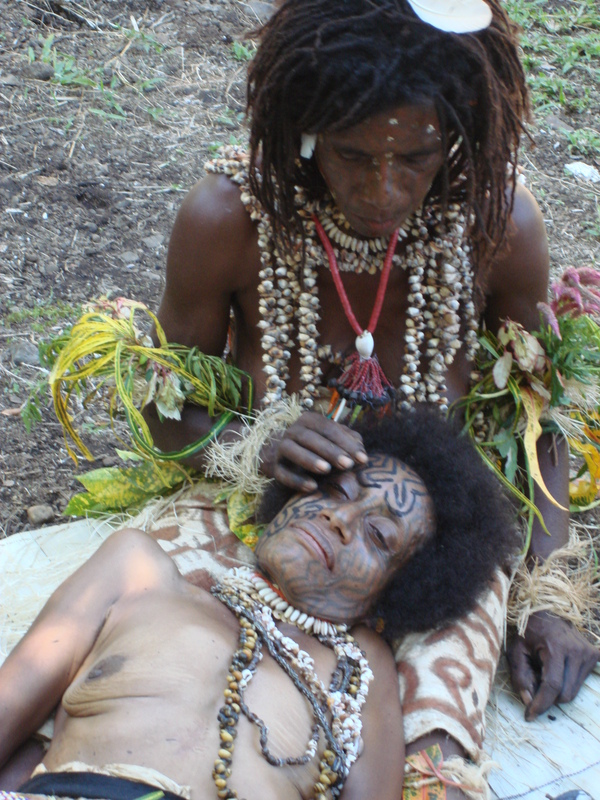 Even though the 400 villagers from 7 clans had been isolated from the rest of the world since the beginning of time, the Watam clans of Papua New Guinea greeted us in full bilas attire,all provided by nature. 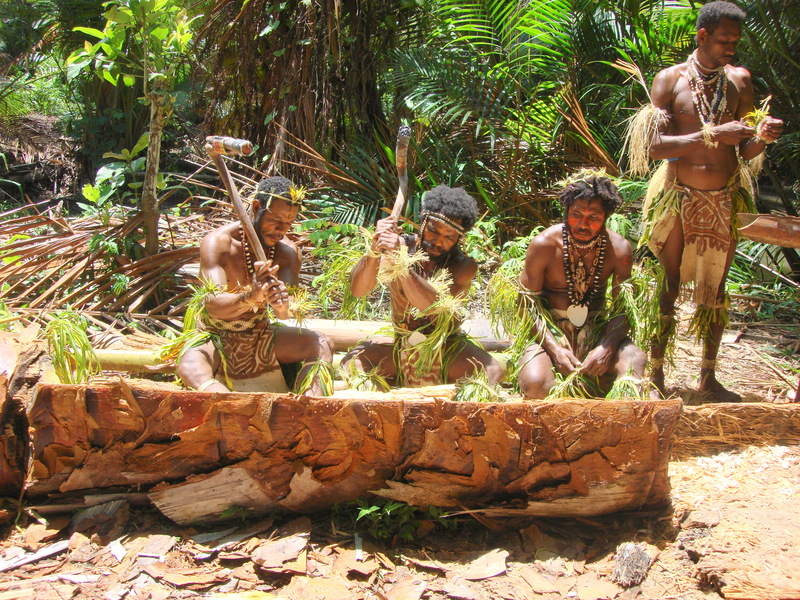 And they knew we were arriving because they had received a code message beaten on the 8-by 3-foot hollow log (garamut) from nearby neighbors. 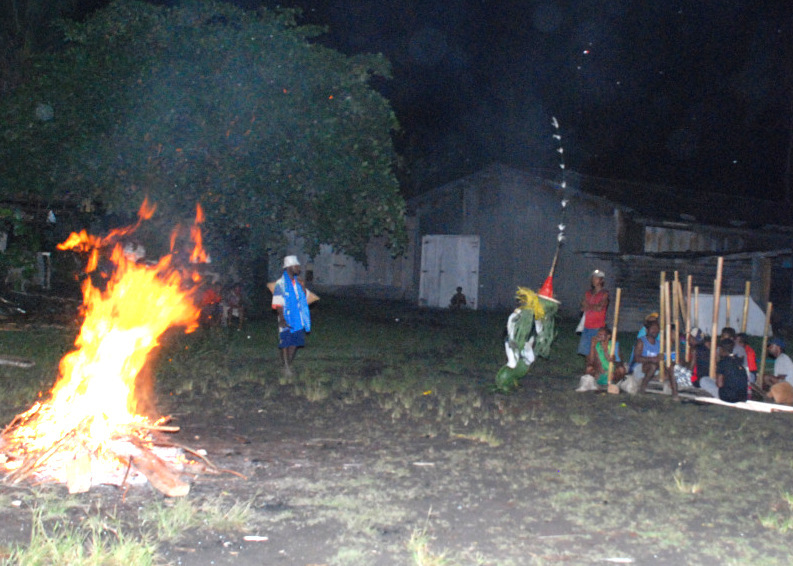 Justin, our tour guide with Orion Expedition Cruises, told us the code said, “Justin is coming with his ship early Wednesday morning.” So all the villages started preparing for the Orion’s arrival. 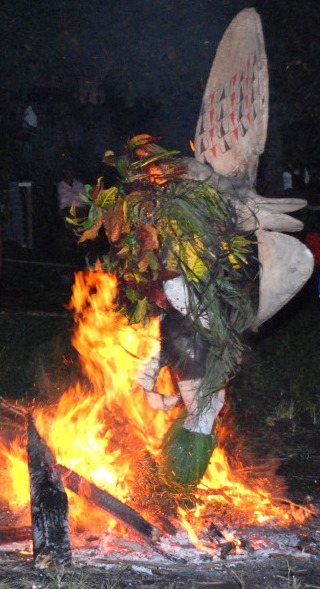 Everything stopped as the school children pledged allegiance to their flag, followed by the big dragon of 10 men worming its way through the middle of the long village while stepping to the beat of their kundu drums. 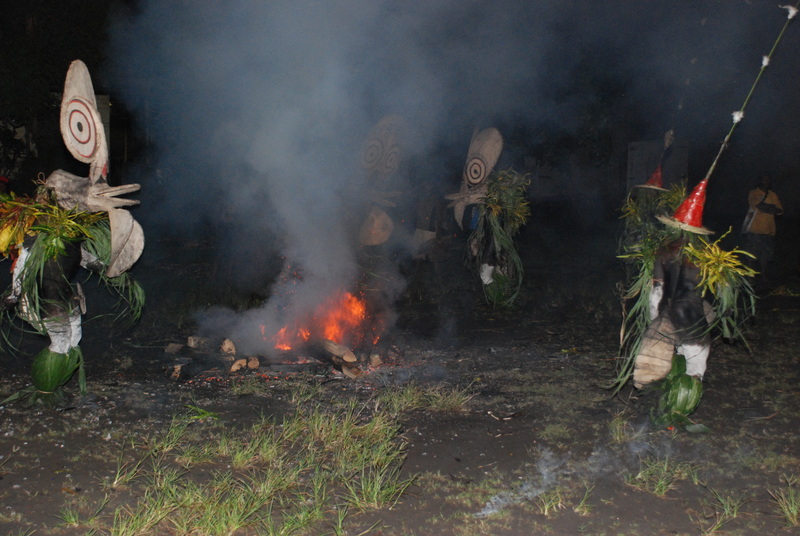 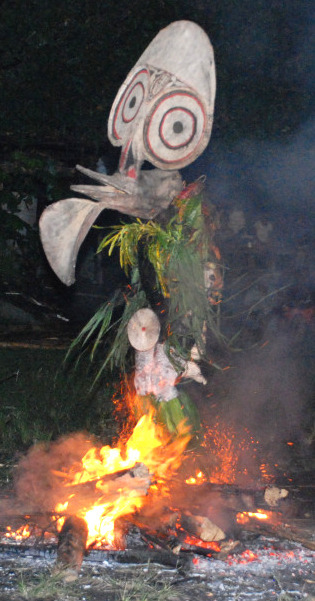 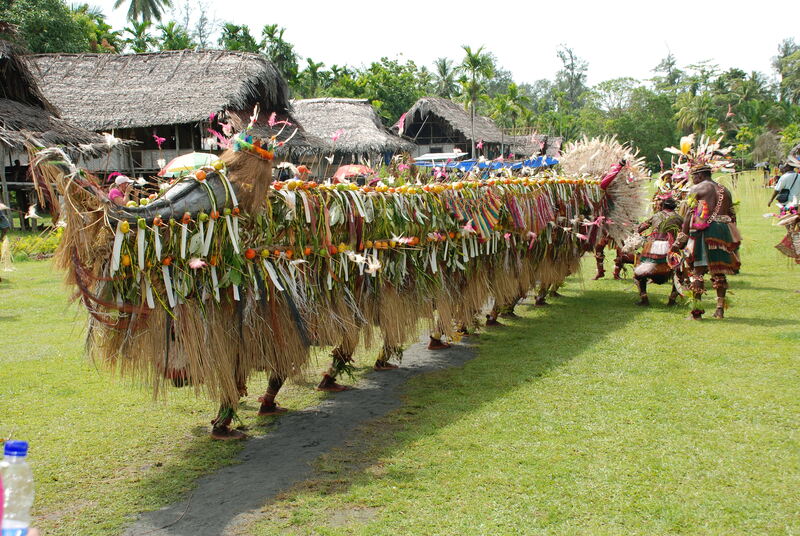 Dressed as one huge dragon, the men were singing, dancing and swaying to the beat of their drums. 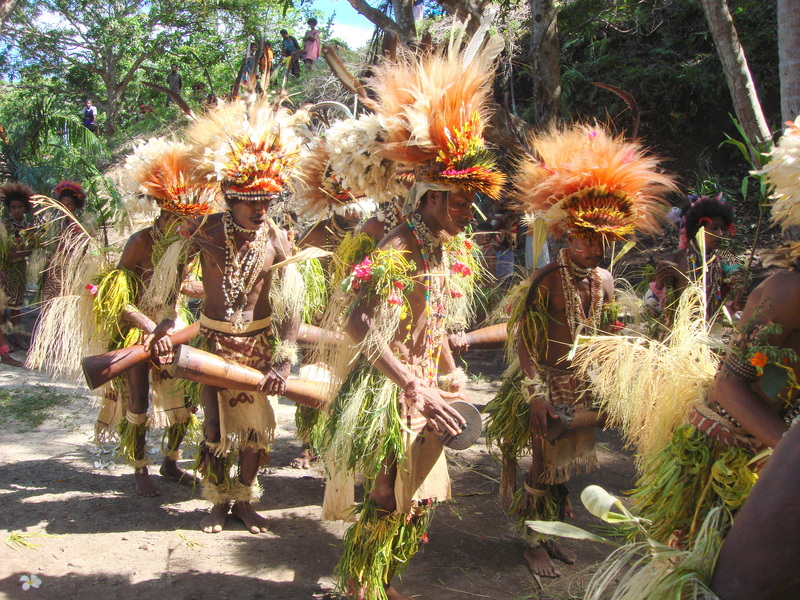 Others were dressed in their native costumes. 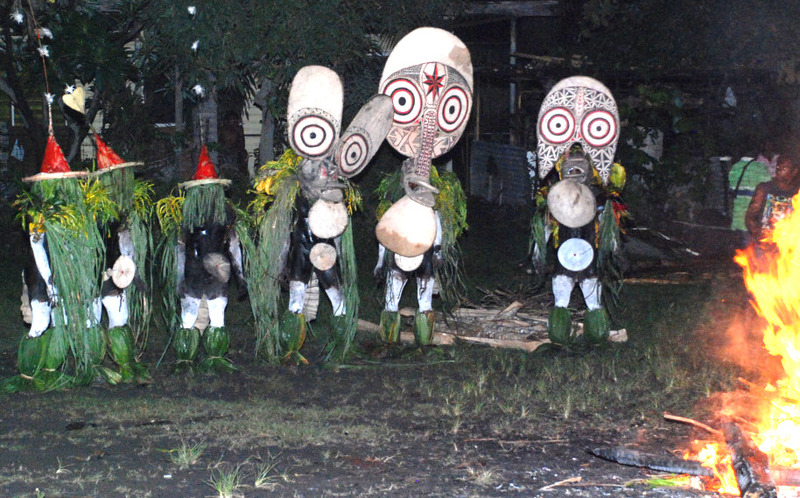 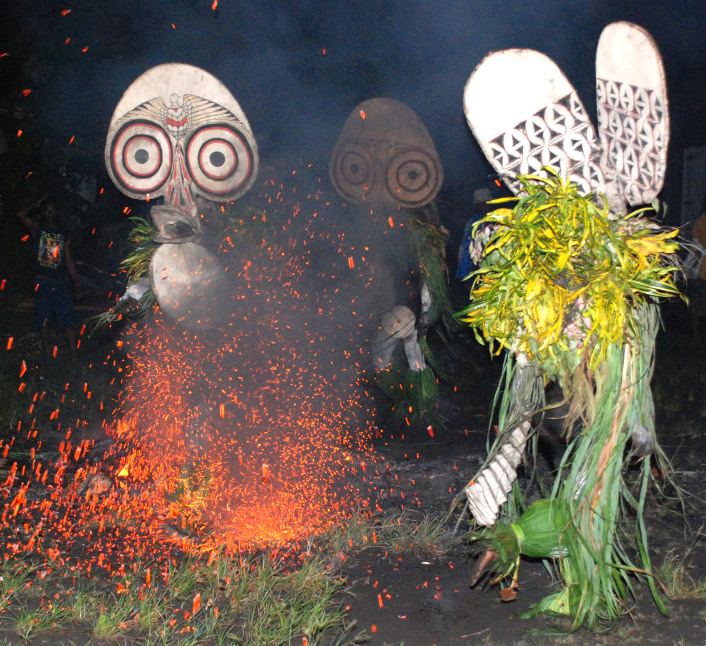 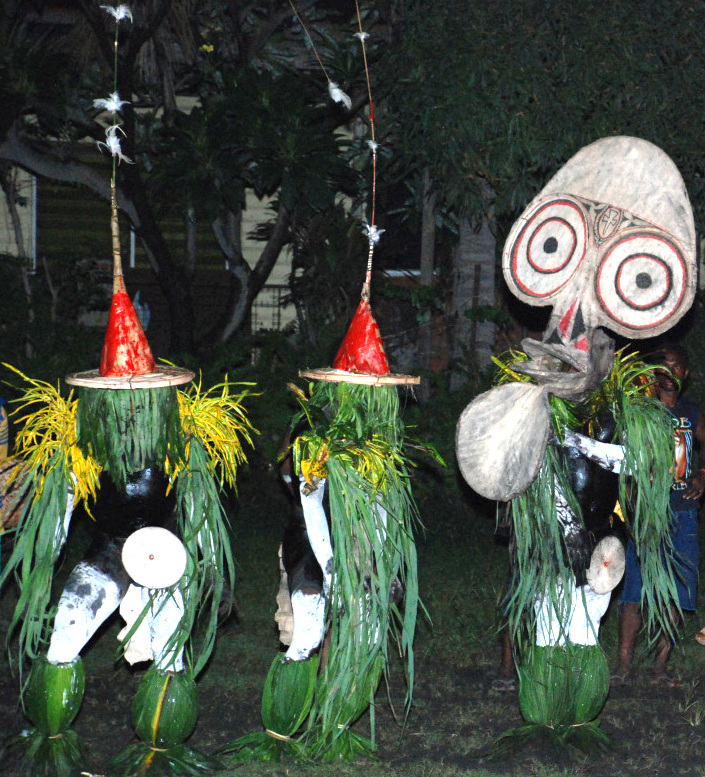 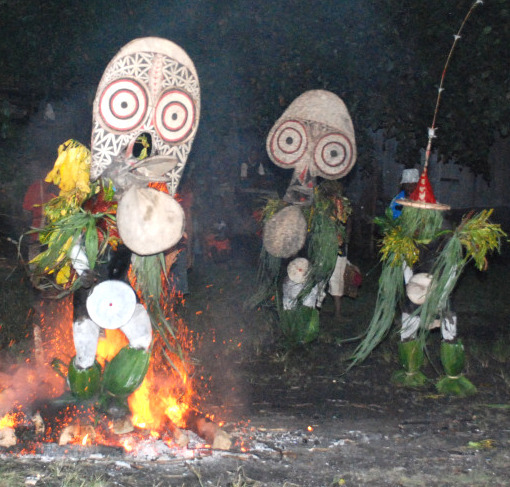 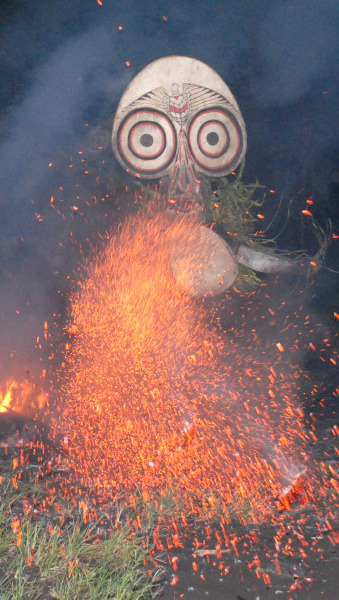 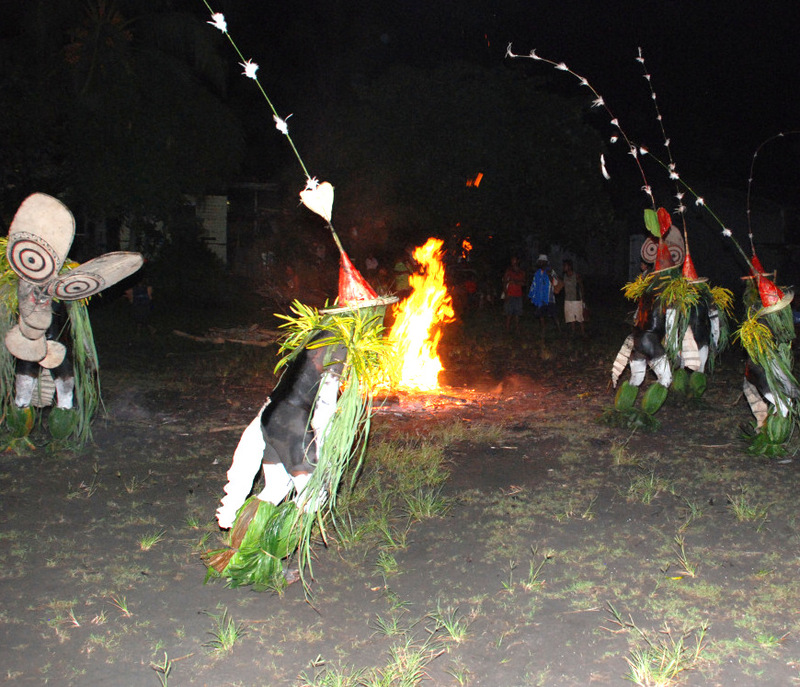 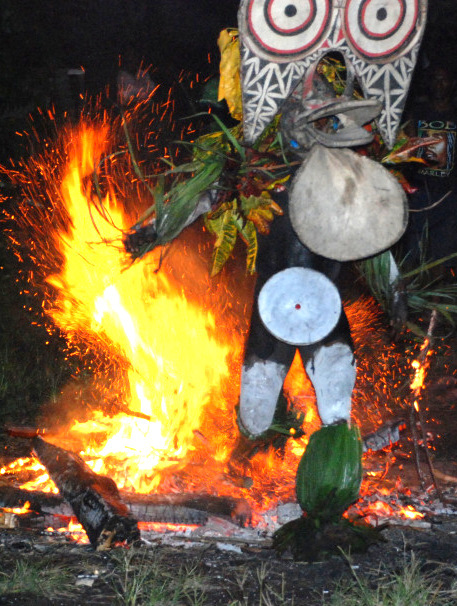 Next came the alerted natives from all over with their handmade masks and carvings and other souvenirs from the famous Sepik River region. 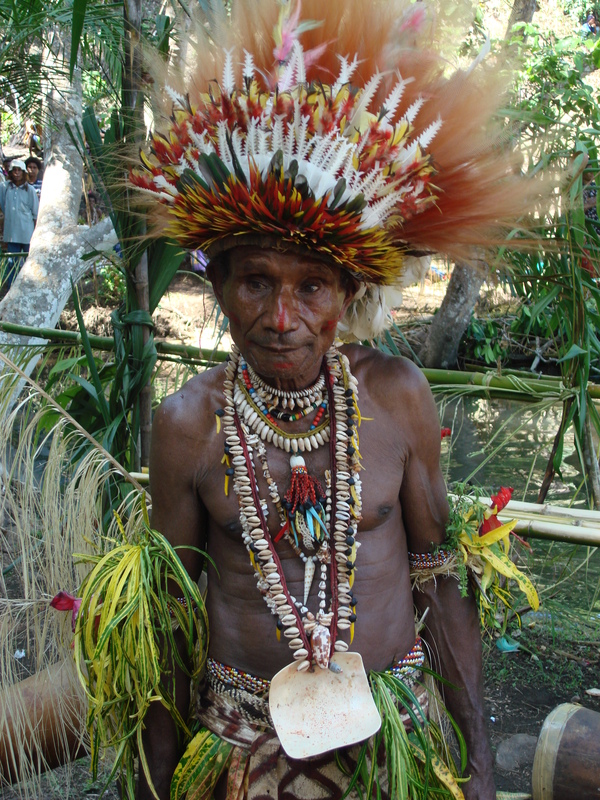 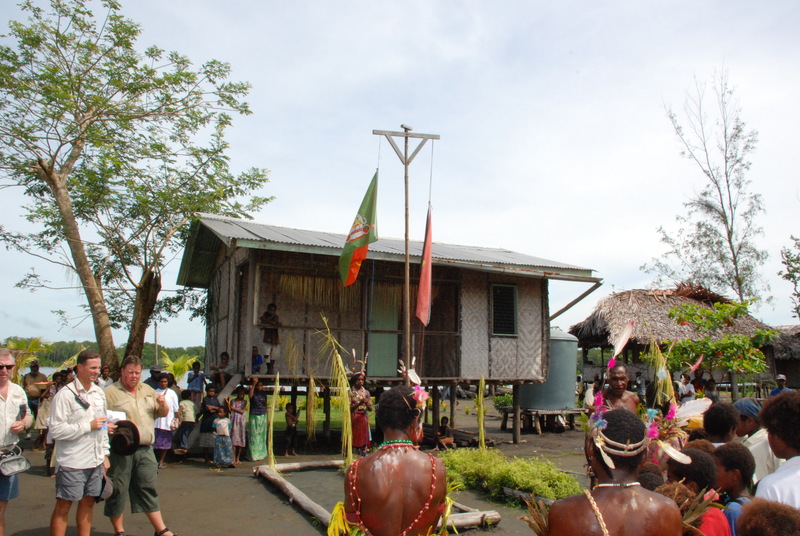 But the Watam Village leaders had to organize a governing system for the different sales people to be fair to all. 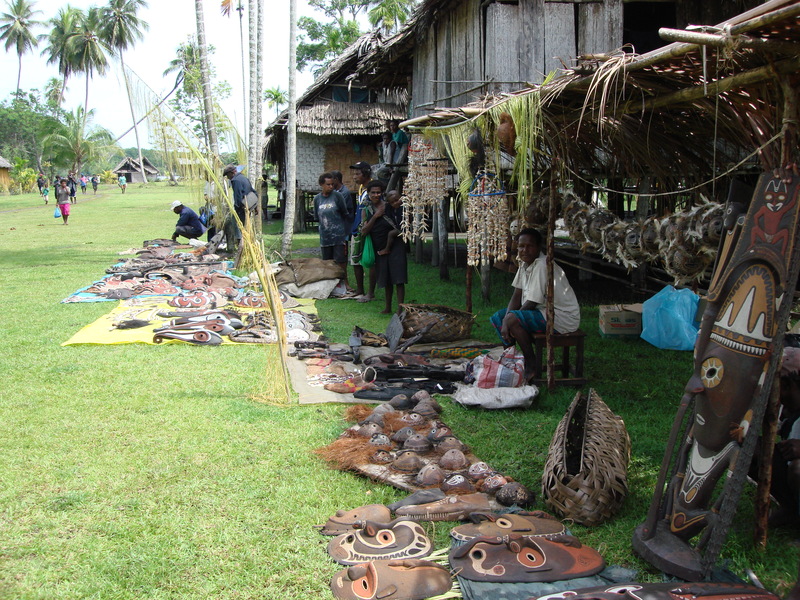 Handwritten signs of rules, written in a native language, were placed at the entrance for sellers. 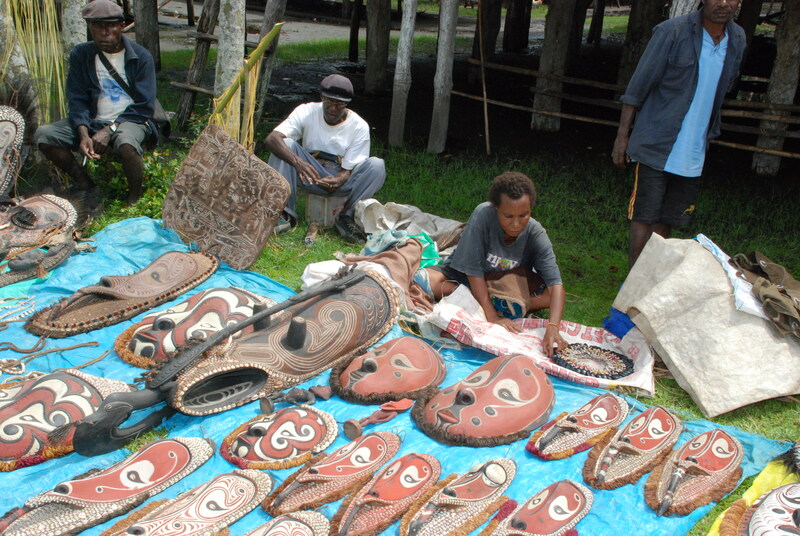 Waiting for us to select our prized souvenirs were many sellers in the hot shade and native villagers were now in business with a visiting ship of 80 people. 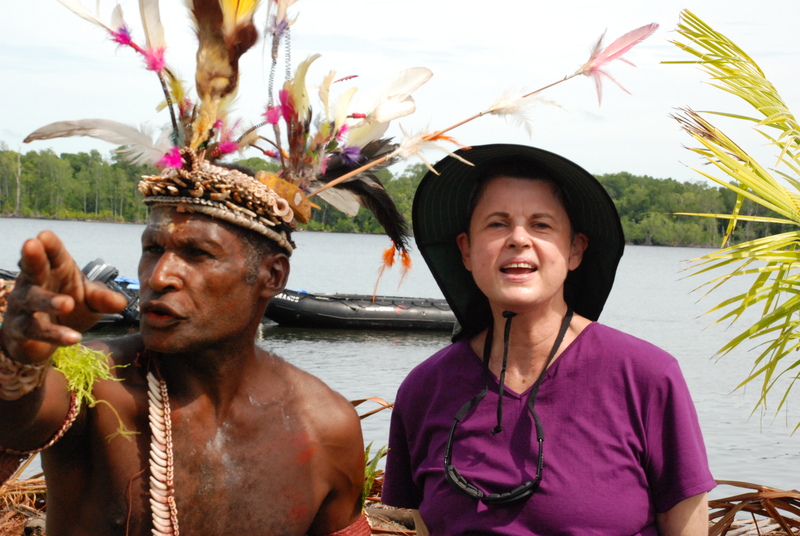 But before we left, Robin Tauck, of Tauck World Discovery, presented many huge boxes of school supplies,clothes and backpacks to the children who needed them to travel to their Watam school and schools in other islands. 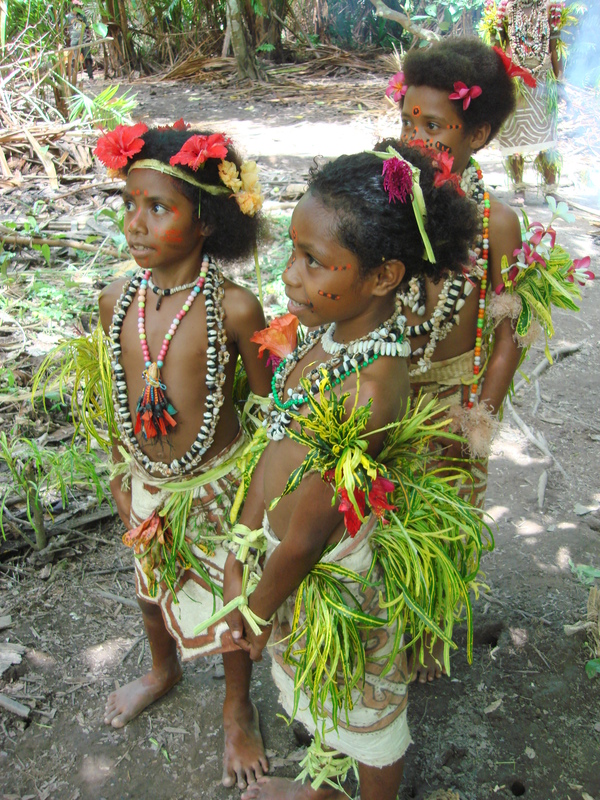 The children danced with joy wearing their new possessions from this Tauck World Discovery special custom tour of Papua New Guinea. 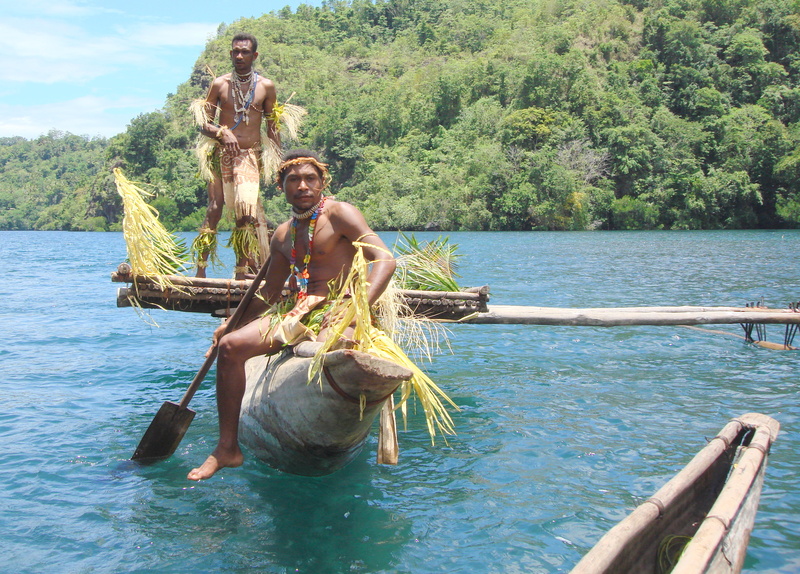 And the 25 men in the boat watched with joy and approval of it all.